One of our best sellers in Nanjing! Nanjing Hao Ting Apartment is located in the bustling Confucius Temple area, the famous tourist attraction in Nanjing. 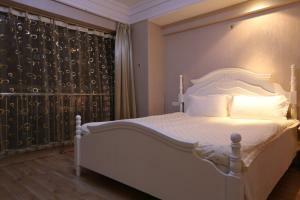 It offers modern and spacious rooms, free parking and free WiFi in the entire property. Xinjiekou shopping area in the city center is 0.6 mi away. 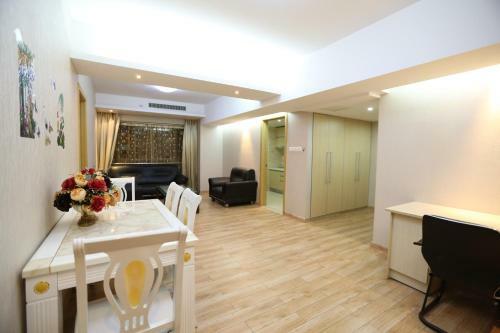 Hao Ting Apartment is a 5-minute stroll from Qinghuai River and Bailuzhou Park. Metro Line 3 Fuzi Temple Station is also a 5-minute walk away. Sanshanjie subway station is a 13-minute walk away. It takes 40 minutes by car from the hotel to Nanjing Lukou International Airport. Decorated in bright colors, all rooms enjoy lots of natural sunlight through large windows. 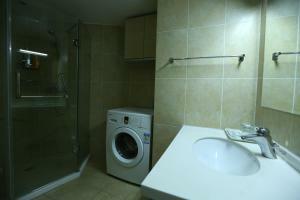 A kitchenette and a washing machine are also included. Private bathrooms have bathrobes, free toiletries and shower facilities. Guests can use the fax and photocopying machine and luggage storage at the 24-hour front desk. When would you like to stay at Nanjing Hao Ting Apartment? Room comes with a flat-screen TV, a kitchenette and a washing machine. 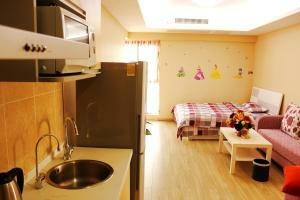 Spacious room comes with a flat-screen TV, a kitchenette and a washing machine. It features a computer. 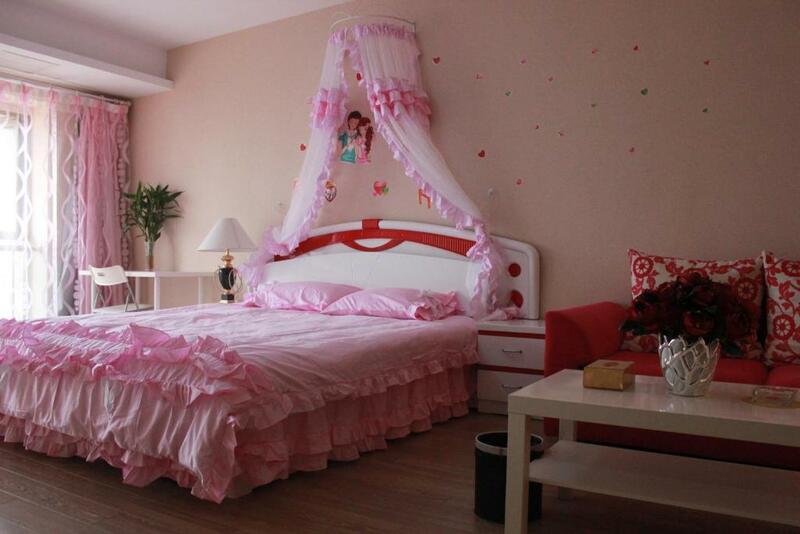 Decorated in pink colors, the suite comes with a flat-screen TV, a kitchenette and a washing machine. It features a laptop. 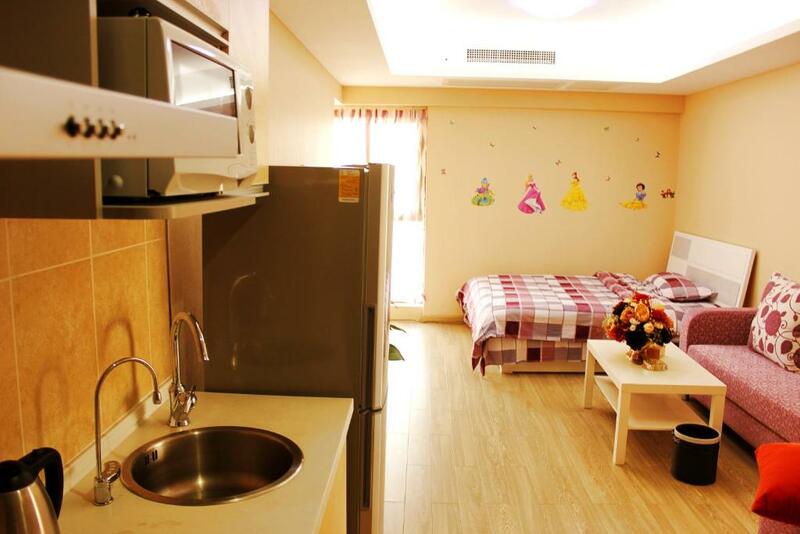 Spacious room comes with a flat-screen TV, a kitchenette and a washing machine. Computer is available upon request. Offering a living room and 2 bedrooms, the suite comes with a flat-screen TV, a kitchenette and a washing machine. Offering a living room and 2 bedrooms, the spacious suite comes with a kitchenette, washing machine and a flat-screen TV. This family room has a seating area, air conditioning and washing machine. House Rules Nanjing Hao Ting Apartment takes special requests – add in the next step! 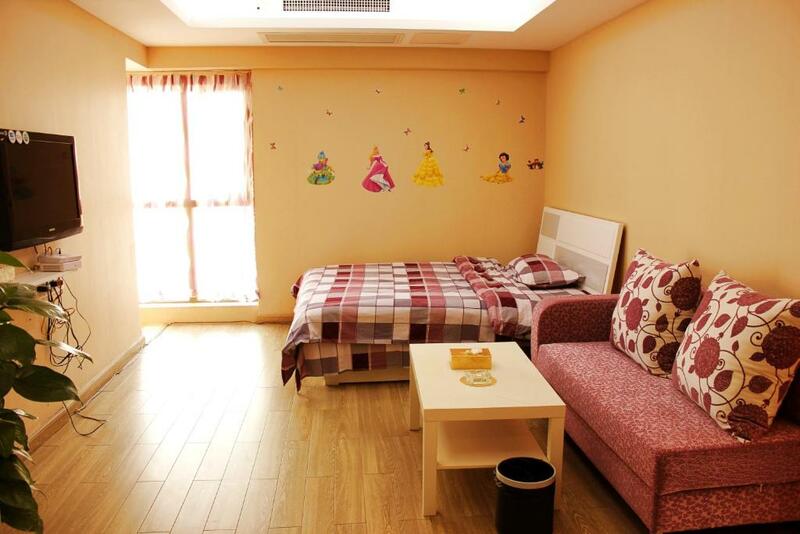 One additional older child or adult is charged CNY 50 per person per night in an extra bed. Nanjing Hao Ting Apartment accepts these cards and reserves the right to temporarily hold an amount prior to arrival. Please contact the hotel upon arrival. Contact details can be found on your booking confirmation. The hotel can't even be found on arrival. The facilities are below par: e.g. only 2 glass cup for 2 room apartment, only 3 towers provided, etc. Our personal tooth brush is even been thrown away. 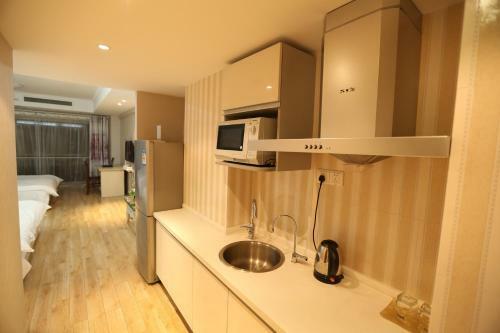 Ideal location..next to the subway and many shops and restaurants around.. The floor was dirty in both the main room and the bathroom. The sofa was old and tired. The vase of dead carnations standing in murky water didn’t help. The bathroom sink leaked under its cabinet into the floor drain. The shower cubicle had a short hose poking down through a hole in the ceiling from the room above, through which water trickled once (from where?!). This sort of plumbing does not inspire confidence. The floor was cleaned of hairs and some grit after I asked for this in the morning but the dead carnations remained. Luckily we were only staying two nights. The location is really the best thing about this place. It’s close to the Confucius Temple area, so no shortage of cafes, restaurants and sights. The room is spacious. the rooms were filled with cigarette smell. we had to buy air refresher to put the smell away. the location is superb. very close to subway and confucius temple. there are also many restaurant and stores nearby.